The personification of Aryan purity, Ellyssa’s spent her whole life under her creator’s strict training and guidance; her purpose is to eradicate inferior beings. She was genetically engineered to be the perfect soldier: strong, intelligent, unemotional, and telepathic. Only Ellyssa isn’t perfect. Ellyssa feels emotions—a fact she’s spent her life concealing. Until she encounters the epitome of inferiority: a dark-haired boy raised among renegades hiding since the Nazis won the war a century ago. He speaks to her telepathically, pushing thoughts into her mind, despite the impossibility of such a substandard person having psychic abilities. But he does. His unspoken words and visions of a place she’s never visited make Ellyssa question her creator. 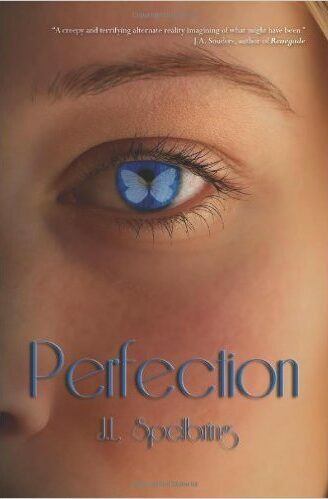 Confused and afraid her secret will be discovered, Ellyssa runs away, embarking on a journey where she discovers there is more to her than perfection.